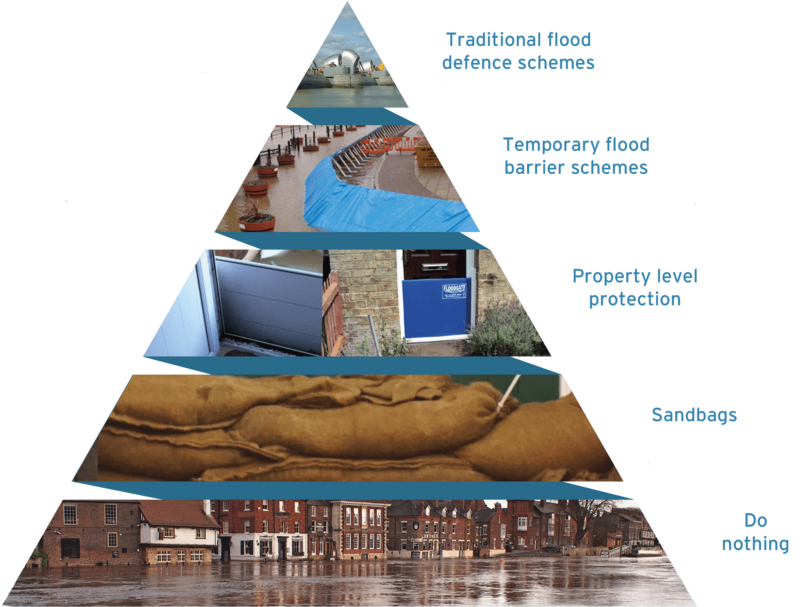 Property Flood Resilience, also widely known as Property Level Protection (PLP), provides property owners and professional partners with practical and cost effective steps to help lower flood risk, through the use of affordable bespoke products. These offer an innovative and effective response which ‘plugs the gap’ that previously existed between engineered flood protection schemes, and either sandbags or the ‘do nothing’ option. 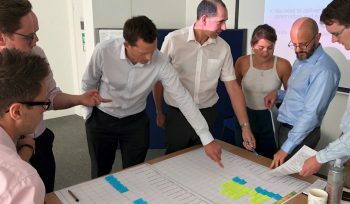 The approach aims to identify products and measures that are appropriate for the person, flood and property together, helping to reduce flood damage and increase peace of mind. A number of measures can be implemented to limit water entry to a property. 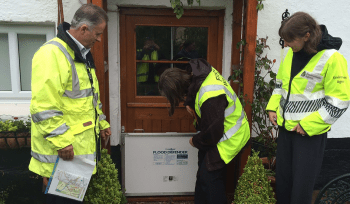 Barriers can be fitted to openings such as doors and windows, providing a seal to limit floodwater entry. Automatic flood doors are now available that can be closed and locked on receipt of a flood warning. Non-return valves (NRVs) can be fitted to drains around your home to prevent floodwater or sewage backing-up into the property. Airbricks can be replaced with automatically closing airbricks to create a seal against floodwater. Pumps can help keep floodwater at manageable levels for those at risk of rising groundwater entering through the floor. Different measures can be used to minimise damage when water finds its way in. Even the most prepared household, as well as properties unsuitable for resistance measures, can be affected. Adaptation measures such as waterproof plaster, solid concrete floors and tiled floor coverings, can reduce flood damage and greatly shorten the recovery time after a flood. 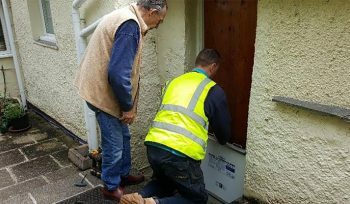 Other steps include raising electric sockets above likely flood levels, to preserve electricity supply, and moving paperwork and valuables to higher levels to minimise potential damage. 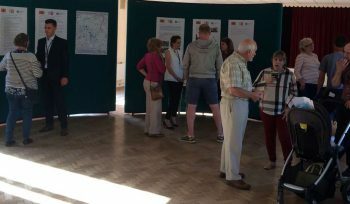 If you would like to discuss how we can work together please contact Peter May.